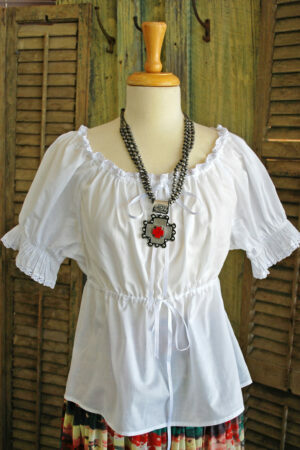 Scoop Neck Top is made with cotton poly blended jersey that is comfortable and cool to wear. 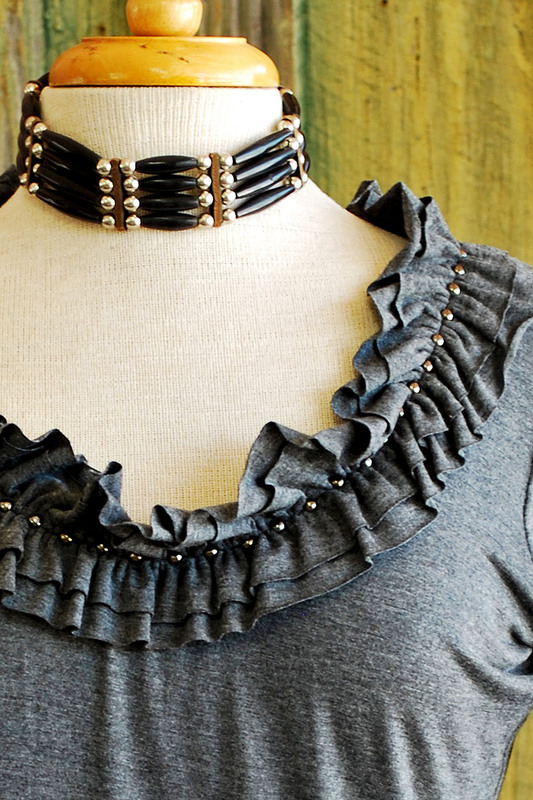 Ruffled neckline has antiqued silver studs nestled within the 2 rows of ruffles. 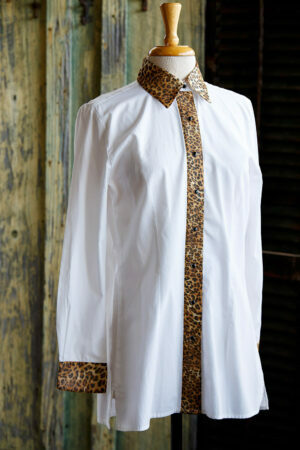 Sleeves are 3/4 length and hem falls to the high hip to cover those hip hugger skirts and jeans. Available in Gray, Red, and Teal.